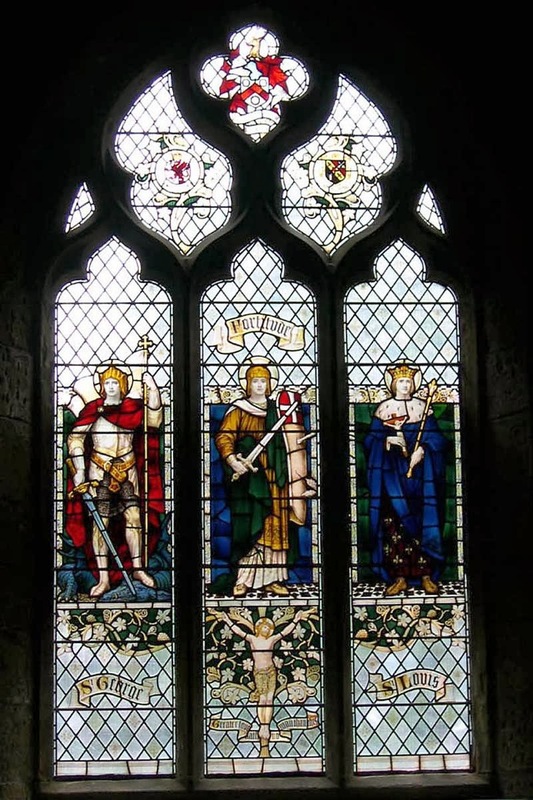 There is no inscription on the window itself, although it features the coats of arms of the Monmouthshire Regiment and of his school. 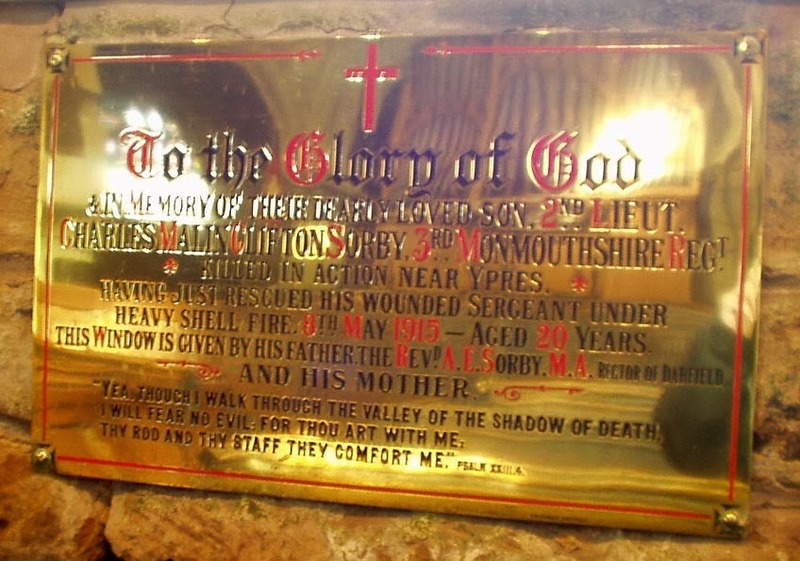 The accompanying brass plaque gives details of Charles Malin Clifton Sorby, his parents and service. & In Memory of Their Dearly Beloved Son, 2nd Lieut. Charles Malin Clifton Sorby, 3rd Monmouthshire Regt. Killed in Action near Ypres. heavy shell fire. 8th May 1915 - Aged 20 years. Thy rod and thy staff they comfort me" Psalm XXIII 4. Charles Sorby's original battlefield cross is displayed nearby.